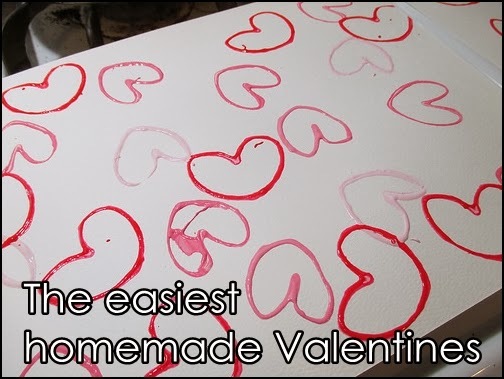 On no, tomorrow is Valentine’s Day and you need to figure out a craft you can do with stuff you already have because shopping is not happening! 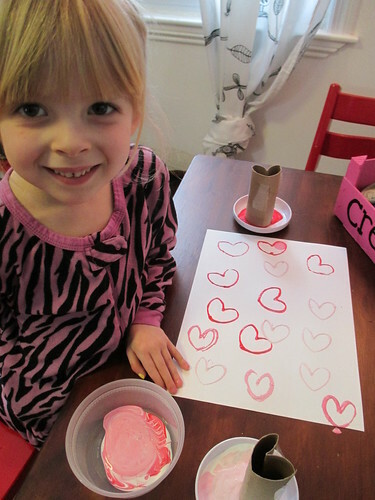 Lucky for you I’ve got you covered with the easiest Valentine’s Day craft for kids there is: toilet paper roll heart stamps! 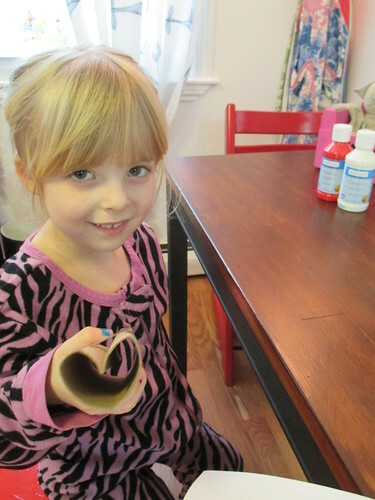 To make the heart stamp, take a toilet paper tube and flatten it, then push on of the edges in. Bam, you’ve got yourself a heart. Bigger kids can use the heart stamp as-is – squeezing it for skinny hearts or letting it open a bit for wider ones. We, however, taped our rolls so they kept the exact shape we wanted. 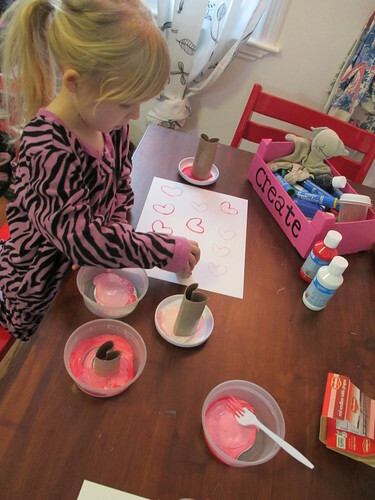 I mixed up different shades of pink paint in addition to the red we already had and P. started stamping. moistened up the cardboard so it has a little squish to it. 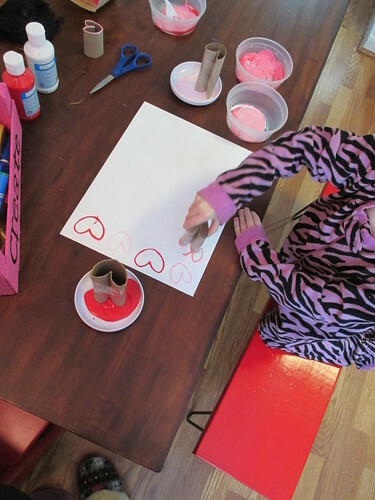 P. liked to make patterns and to keep her stamped Valentine hearts from touching, but I overlapped mine in all sorts of ways. I ended up liking the way it looked so much I grabbed a canvas out of the art closet and made something to display on the piano for Valentine’s Day! Now that our hearts are dry all that remains to do is fold the paper into cards, write a sweet message in each, and deliver them to the lucky people on our list. 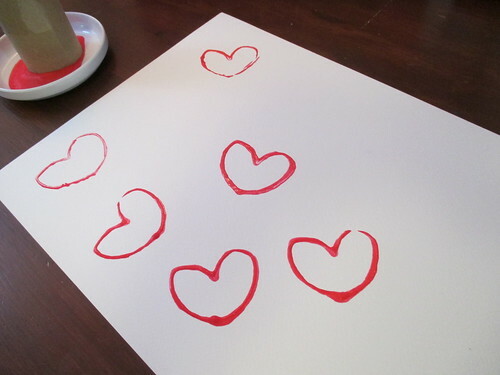 What kinds of Valentine’s Day crafts have you done with your kids this year? Anything super easy?